Who will be the champion? Test your skills! Team up! Guess correctly and you could win! 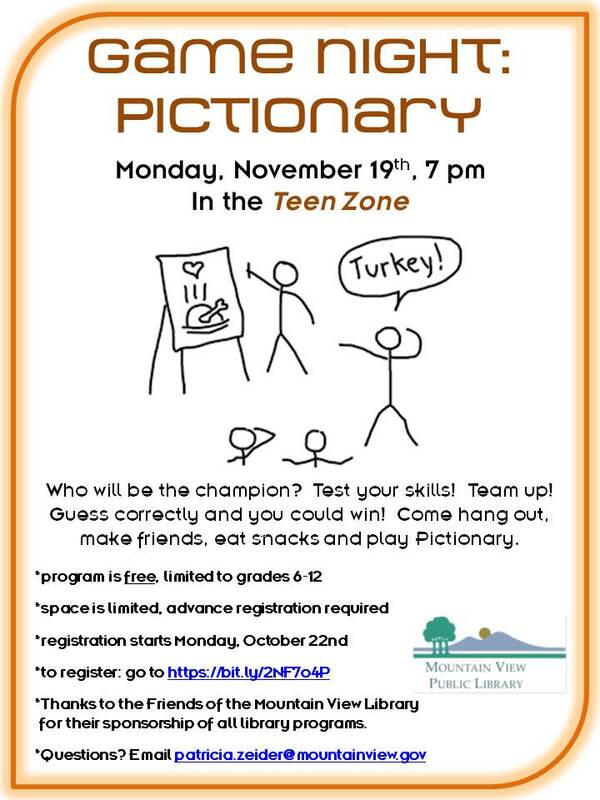 Come hang out, make friends, eat snacks and play Pictionary.